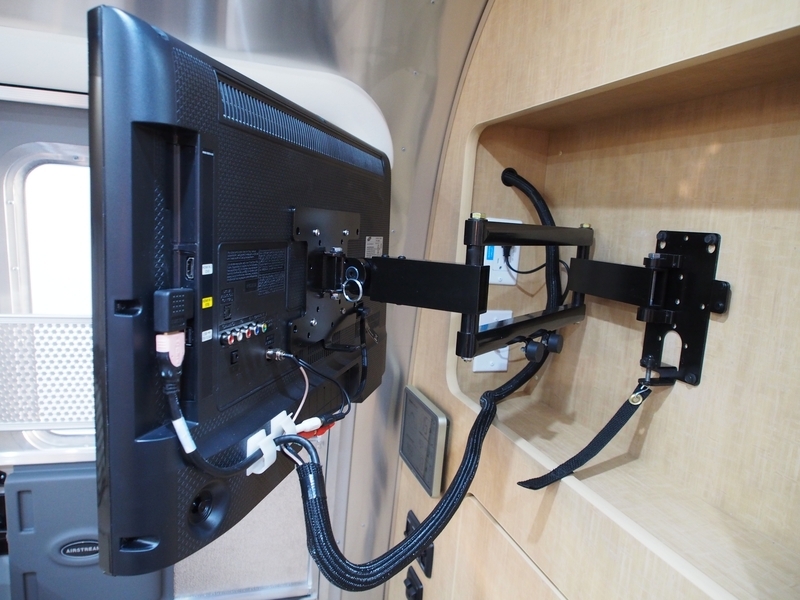 Newbie here- just purchased a used 2014 AS trailer and can't figure out how to get the TV screen in the bedroom to unlock from the "storage" position. It appears to have an articulating arm. I tried to find an answer by searching for it but to no avail. Original owner never used it. If it's like ours, there is a strap that you pull down on to release it. That's right....should be a strap behind TV....pull straight down. I have the same problem with our 2014 25FB. I contacted the manufacturer and was told to pull down the strap. Well, I'm either gonna break the strap or pull the setup off the wall trying that suggestion. I got shuffled off to someone else in the company and then I apparently disappeared so still don't have an answer. I plan to take a hex wrench to the pivot bolts soon. I'm thinking I need to get to the chrome pin the strap is attached to and free it somehow. My was tied in a knot and after several times I got the knot un-tied and then a easy plus down to release. We have the same setup. Try putting a little silicone lubricant on the pin and release mechanism, this will help it slide out and also stow easier. Yes welcome to the rest of us I messed with mine asked and was told it didn't move only to find the strap and presto it moved ,bad for not having a good procedures on how to work stuff. Lightly lube the catch mechanisms with anything handy. I've used hand lotion, liquid soap, or mineral oil with great results. I knew it would be simple and make me feel like a moron for not seeing it on my own... thanks! that was my solution (after a month)! raschmidt1, THANK YOU! By pushing the top bracket arm towards the wall, I was able to release the lock pin by pulling the strap down. Rambo Engineering - the bracket manufacturer - deserves a hearty, "Booooooo!" for apparently deciding my issue was not important enough to follow through with me. I had the same problem and it took me a call to the dealer to figure out. In my case, wiggling the TV a bit helps. Very poor design.